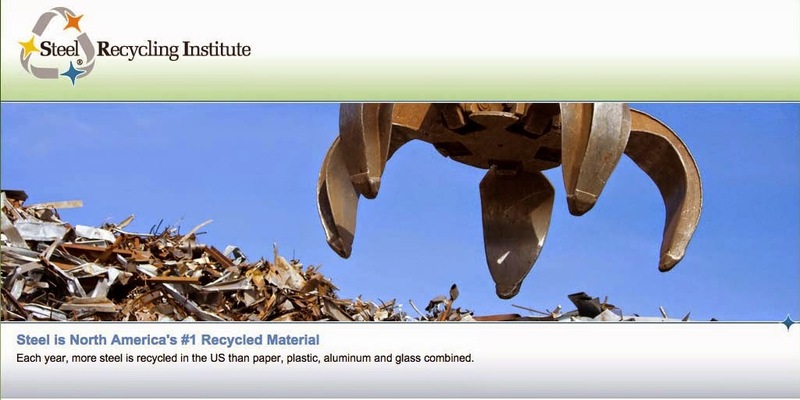 The last time steel can end markets were featured in The Recycling Magnet was summer 1990. Much has changed since then: a steadily rising steel can recycling rate, from 17.9 percent in 1989 to 40.9 percent in 1992; an increase in end markets, from 17 then to 74 now; the rising prices for steel scrap; and the acceptance of steel cans as a scrap resource in foundries, a new end market. For steel cans, and actually for all steel products, end markets are usually as convenient as the nearest steel mill or foundry. Why? Because old steel (otherwise known as steel scrap) is a necessary ingredient in the production of new steel. And because the century-old national network of ferrous scrap dealers and other secondary processors move that scrap from it s generation points to its end markets. Steel cans fit very neatly within this already-established infrastructure and rove to be an important addition to the overall stream of steel scrap. When talking with representatives from steel mills and foundries, we communicate the three P’s of steel can recycling: (1) the price, which is equal to or better than other scrap grades; (2) the predictability of the chemical properties of the steel can scrap; and (3) the public relations benefits obtained by recycling materials generated in the community, which assists local solid waste management efforts. Steel cans, as well as old appliances, automobiles and construction materials, are a desired form of steel scrap because steelmaking technologies require more scrap to produce steel and because the same technologies generate less scrap both within the steel mills and within various steel fabrications processes. Before discussing recycling steel cans, we need to talk about processing them. One of the nice things about steel cans, as we all know, is that processing is easy because of steel’s magnetic qualities. Steel cans collected through residential, commercial or institutional recycling programs are magnetically separated from other materials. Other steel cans are magnetically removed from the solid waste stream at resource recovery facilities. All are processed prior to shipping them to end markets. End market specifications very by end market, but usually require the cans to be baled. Material recovery facilities, scrap processors, or detinning companies process steel cans for end markets. Detinning companies usually act as high volume processors of steel can scrap by baling or shredding steel cans before shipping them to steel mills. While detinning was at one time a necessary part of the recycling process, this is no longer the case. Some mills, however, do still use detinned cans as part of their scrap mix, so these facilities may also detin post-consumer steel cans. The cans are first shredded, then immersed in detinning solution, where an electrolytic or chemical process removes the tin from the steel. The recovered steel is sold to steel mills for recycling, an the tin is sold to appropriate end markets. In most of our articles, we mention that steel cans and other types of scrap are shipped to steel mills for recycling. While we rarely explain how these mills recycle steel cans and produce new steel, these processes are actually interrelated and well worth a detailed description. As it is said of William Shakespeare’s plays, you better appreciate the significance and power of steelmaking by visiting a steel mill rather than reading about it. Chances are that a steel mill in your area offers a tour of its operations. Take advantage of this opportunity. Afterwards, perhaps you’ll agree that steel cans have quite a dramatic ending and new beginning. The two types of steel mills, the integrated mill and the mini mill, use steel and steel can scrap to produce new steel. Steel mills capable of processing iron ore into steel are called integrated mills. To make steel, integrated mills primarily employ the basic oxygen furnace (BOF), which derives its name from the high sped blast of oxygen used in its steelmaking process. During the process, high density bales of steel cans and other prepared steel scrap are carefully selected and magnetically hoisted into a scrap charging hopper. After moving to he furnace opening, the charging hopper dumps the steel scrap inside. A ladle of molten pig iron is then moved into place before the furnace opening and pours the molten metal inside. Finally, a lance is lowered through a funnel-shaped opening at the top of the furnace to blow oxygen onto the metal bath. Each “heat” of steel takes approximately 45 minutes to produce. The final product contains approximately 25 percent steel scrap. The first electric steelmaking furnace was built in the United States in 1906. While the basic oxygen furnace combines raw material and steel scrap to produce new steel, electric arc furnaces are charged with virtually 100 percent steel scrap. Specific grades of steel scrap are selected and charged with small amounts of raw material into the furnace. Charging typically takes place through the furnace roof, which is lifted or swung aside. During the steelmaking process, thee large cylindrical electrodes are lowered through openings in the roof to melt the steel scrap. Through their operations, integrated steel mills and mini mills together recycled more than one million tons of steel cans in 1992. The BOF produces flat-rolled steel products used to make steel cans, while the EAF produces heavy steel products used in the construction industry. Iron foundries, which cast iron products such as automotive parts, are the newest steel can end market. Waupaca Foundry in Waupaca, Wisconsin was the first to test and use steel cans on a regular basis in the production of grey and ductile iron products. We first outlined Waupaca’s efforts in our winter 1990-91 issue. While foundries use a variety of methods to melt steel scrap, their furnaces tend to be much smaller and less forgiving than a steel mill’s furnace. Therefore, foundries are more particular about the steel scrap they selected for recycling. As a source of steel scrap, steel cans are made from a high grade of steel with predictable chemical characteristics. In addition, steel cans are competitively priced when compared to other forms of low residual steel scrap. The steel can’s very slight tin content acts as an alloy in the casting process, thereby reducing a foundry’s dependency on other alloying agents. Tin also promotes the end product’s paralytic microstructure while improving its strength and hardness. Iron foundries, the newest end market for steel cans, could potentially become the most diverse: there are currently more than 1,500 foundries scattered throughout the United States. The South Carolina Department of Corrections launched a statewide recycling effort that encompasses the state’s 32 correctional institutions and several other agencies. Begun in September 1993, the program was established in response to the South Carolina Solid Waste Policy and management Act of 1991 that requires a 30 percent reduction in the waste stream and a 25 percent recycling rate by 1997. One-gallon steel cans make up a significant portion of the recycled items collected from the agency’s 34 dining facilities. The agency estimates that each year it uses more than 630,000 one-gallon steel cans (240 tons), along with a significant number of smaller steel cans. “We believe that we can capture for recycling every single steel can that we use. In Corrections, we have positive control over our recyclables. If it enters an institution and we want to recycle it, we can,” said Les Sweigart, director of the support services division, which oversees the solid waste and recycling programs. Steel cans are rinsed and flattened at the institution and then returned to the processing center on food service, canteen and commissary trucks that would otherwise return empty. A vacant building has been “recycled” for use as a processing facility. There, inmates bale and prepare the recyclables for market. In addition to steel cans, the institutions collect steel scrap, office paper, computer paper, newsprint and cardboard. Department of Corrections’ officials believe that, through recycling, they can reduce the waste stream by 50 percent and significantly reduce disposal costs.